FREE! Play Lab for ages 2 – 5 accompanied by an adult. Enjoy crafts, songs, playtime and a story. Meet our teachers and parents. Registration is required. 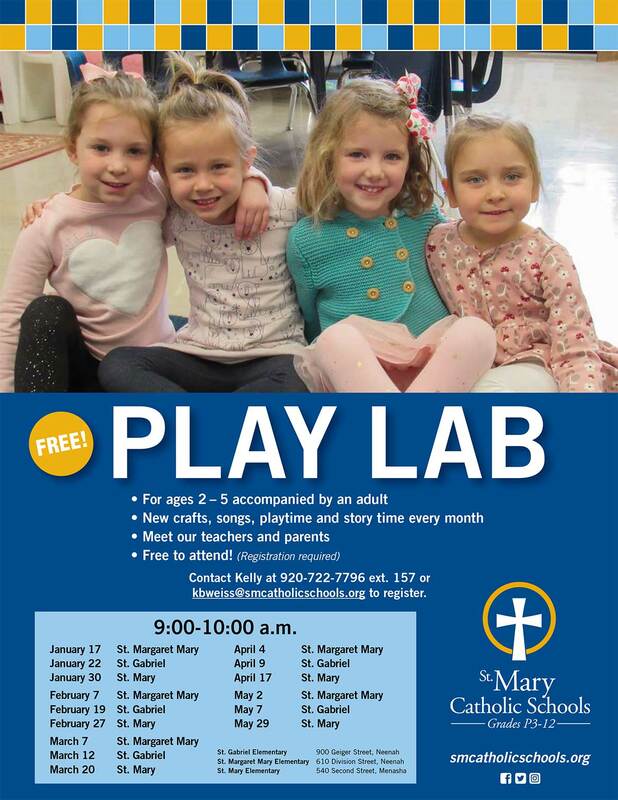 Contact Kelly at (920) 722- 7796, ext 157 or email kbweiss@smcatholicschools.org.